The best of the work this year curated in the MediaCom suite had business success running right through it. Sure the collection of work had plenty of stunts littering it still, but the cream of work that rose to the top included fabulous strategic thinking. 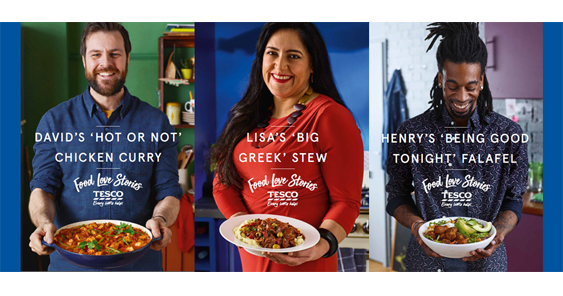 This is of course true of the winner of the Media Grand Prix, MediaCom and BBH’s work for Tesco Food Love Stories. 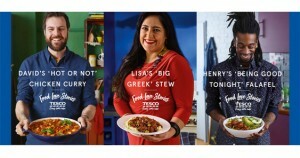 A campaign that drove sales for Tesco at an unprecedented rate. There was lots discussion about best practice for the future of our business. The impact of voice on marketing came up in a number of sessions. Whilst it’s a long way from taking over, the role of a voice personal assistant is already changing some consumers lives. There’s lots to learn about what needs to be done, but every brand should begin to think now about whether their memory structures are sufficient for stand out without visuals and where a purchase decision will be based on just a couple of options spoken by Alexa rather than on scanning a shelf full of product. It was clear throughout Cannes week that success isn’t achievable on your own anymore. Even the disrupters are subject to disruption now, and no-one knows the path forward in isolation. Leaders today will share best practice with generosity and make strategic alliances to win. So the news of the alliance between News UK, Guardian News & Media and The Telegraph about The Ozone Project – a jointly-owned audience platform to combat industry-wide digital advertising concerns, including brand safety, data governance and ad fraud is to be welcomed. It mirrors one of the standout Titanium Lion shortlists: The Quality Journalism campaign where UNESCO created an alliance of quality news channels to recommend reading their traditional rivals rather than fighting for market share. As the future continues to challenge everything at a speed that takes the breath away its important to build teams that can work together to support the growth of brands, business and meaning. This entry was posted on Friday, June 29th, 2018 at 1:25 pm	and is filed under MediaComment. You can follow any responses to this entry through the RSS 2.0 feed. You can leave a response, or trackback from your own site.